Five fire crews were called to fire at an Aberdeen University building this morning. The Scottish Fire and Rescue Service was alerted to a fire in the building on King Street at 10.30am, with the first appliance arriving on scene at 10.40am. The crews, from North Anderson Drive and Central Fire Station, used four breathing apparatus’, two hose reels and a fan to ventilate the area, while extinguishing the fire. 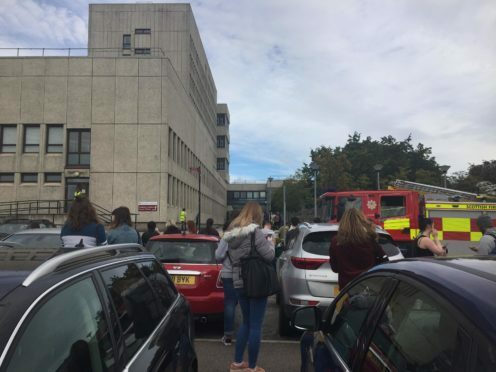 According to a spokeswoman for the Scottish Fire and Rescue Service, the fire was extinguished at 11.17am and had originated from a bin on the second floor of the campus’ MacRobert building. Hundreds of students have been forced to wait outside following the full evacuation whilst fire fighters investigated the cause of the fire..